Welcome to the 23rd Penny Pinching Party! There were so many great links last week; It is hard to choose just a few to feature. I am in a clutter-free, clean out and simplify my life stage right now, so I guess I'll feature a few posts that reflect that. 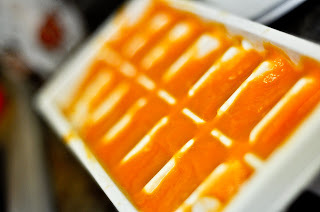 Haas Home posted a tutorial on how to make homemade baby food. I used to do this for my kids and think it is a great way to save money and give your baby healthy food. At first it may not seem like you're simplifying your life, but once you get it made it sure makes life a lot easier. 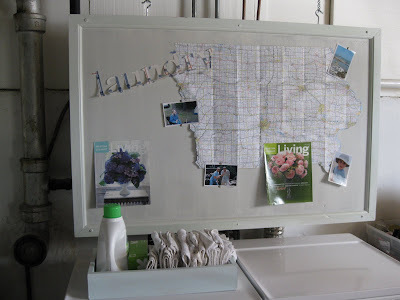 I love this basement laundry room solution by Notes From the Heartland. She took a cluttered looking mess of pipes and hid them with a bulletin board that she got for $1. I love simple and thrifty solutions like that! Scene of the Grime posted about cutting her families' hair. I think cutting hair is a great idea if your family will let you. Not only will you save tons of money, but you will save a lot of time. Not having to make an appointment for your kids, take them to the salon, wait, etc... will definitely simplify your life. Can you believe these are her boys?! I thought that maybe she stole this picture from some stock photography. If you link back to me, I may feature you when I highlight my favorite Penny Pinching ideas next week. *You have until 1 am am MST, Thursday to get your link up. 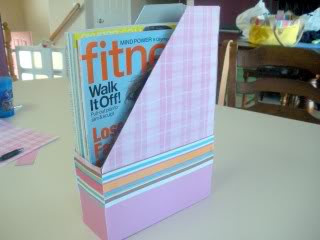 I like the magazine organizer too! I always have too many of them lying around. Nice features!! 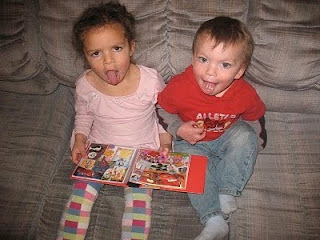 I'm hosting a giveaway @ my blog...stop by and check it out!! 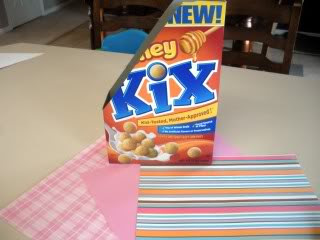 Great idea with the bulletin board. Thanks for hosting again. Thanks so much for featuring my "thrifty hair care" post on your blog! Those are indeed my boys, and I think they're pretty handsome myself! Love your blog! Hi! I just found your blog today and saw the party you're hosting - I entered a cheap craft I did and I'm not sure if that's what you're looking for so if needs to get deleted I totally understand! Thanks for hosting! Thanks for featuring my homemade I-Spy book. I added your button to my blog! 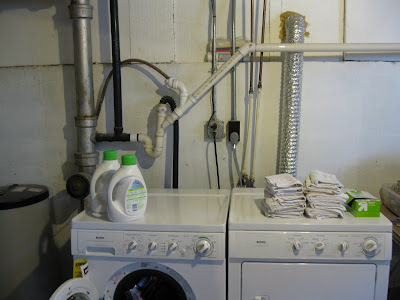 Thanks so much for featuring my laundry area makeover! Love your blog!! Thanks so much for being such a gracious hostess again this week! I love the idea from lastweek for the bulletin board!! My pipes look like that... once the basement gets painted this would be a wonderful solution! Thanks for hosting the Penny Pinching Party. I entered a new one today about how I repurpose used cans and canisters. Hope you like it! Great blog! This is my first time here, and I like it! Feel free to come link up on my site, too.